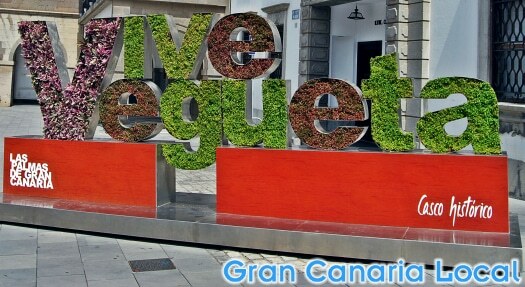 0.1 Continuing our increasingly popular guides series, we’re off to Las Palmas de Gran Canaria’s Vegueta. As the capital’s original neighbourhood, it’s on the first page of the city’s history. Explore the barrio with us. 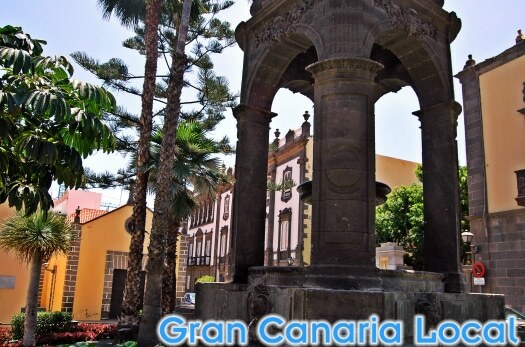 Continuing our increasingly popular guides series, we’re off to Las Palmas de Gran Canaria’s Vegueta. As the capital’s original neighbourhood, it’s on the first page of the city’s history. Explore the barrio with us. Heading up the GC-1 from the airport, Vegueta is one of the capital’s most southerly areas. 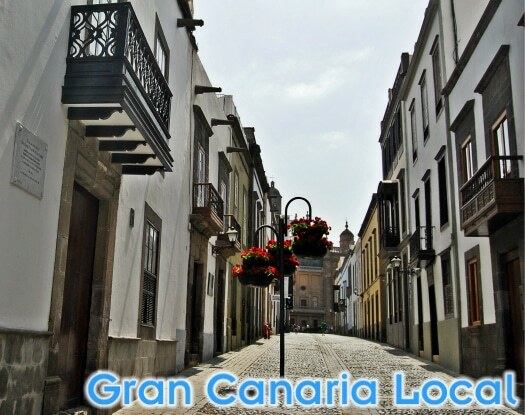 Cut apart from the Triana district by the C-811, you should explore on foot as it’s largely pedestrianized. Here’s our four-part guide. 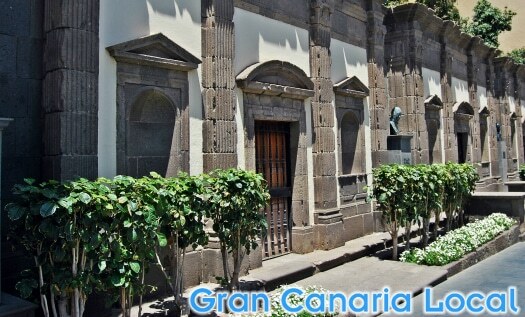 In Vegueta, you’ll meet Las Palmas de Gran Canaria’s’ twin towers: the torres de Catedral de Santa Ana. 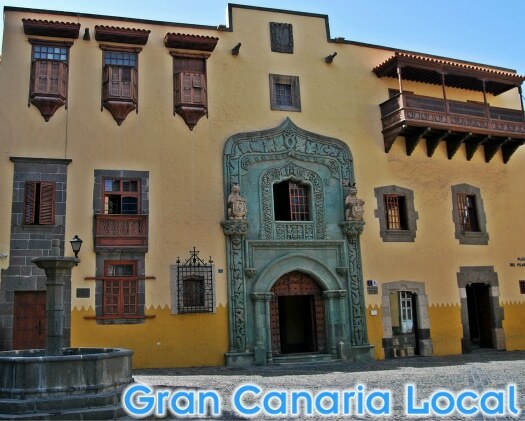 The Las Palmas de Gran Canaria founded as Real de Las Palmas by Juan Rejón on 24th June 1478. Check out the plaque honouring this date in the nearby Ermita de San Antonio Abad. 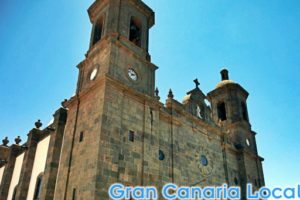 Rejón, the San Juan lauded in the annual frenzied Las Canteras beach party on the 23rd June marking the birth of Las Palmas de Gran Canaria, was a naval captain. After falling out with his own men including one Bermúdez, Rejon was sent back to the Spanish mainland in chains. His stand-in, Pedro de Algaba, didn’t last long as Johnny Boy soon regained his liberty before returning. Ordering the beheading of De Algaba and exile of Bermúdez, Rejón himself was killed in 1481. Over in La Gomera. At the hands of Hernán Peraza the Younger, the governor of the island who felt threatened by Rejón’s arrival. Constructed on the orders of the Catholic Monarchs, Ferdinand and Isabella, the Catedral de Santa Ana dates back to 1500. It only took 400 years more to complete. Which resulted in a mishmash of styles combining Gothic, Renaissance, and Neoclassical. 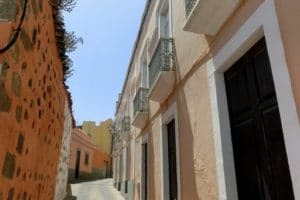 Further time travel’s possible at El Museo Canario which focuses on the island’s pre-Spanish history and Casa de Colón visited by Christopher Columbus on his way to sailing the ocean blue in 1492. 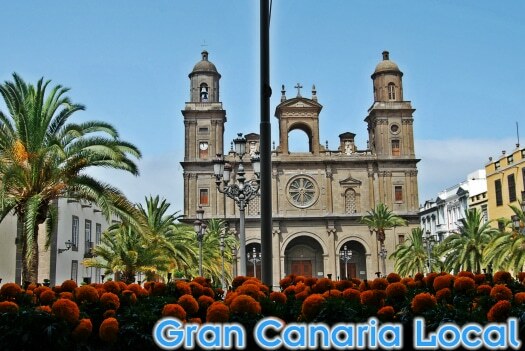 If you prefer your tour to be of the guided variety, we recommend Trip Gran Canaria. To rejoin the 21st century, visit avant-garde art galleries CAAM and San Martín Centro de Cultura Contemporánea. 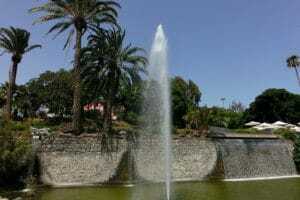 The Puerto area around Parque de Santa Catalina used to be the place to go out in LP. Vegueta has since usurped the port on this count. As well as a number of buzzing bars and cool clubs, dining out in some of the capital’s finest restaurants and tapas bars are further nocturnal options. After-dark Vegueta attracts the young and the young at heart. 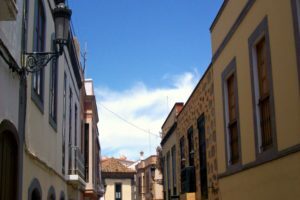 One of the liveliest streets, particularly on weekends which start on Thursdays in Vegueta, is Calle Mendizábal. 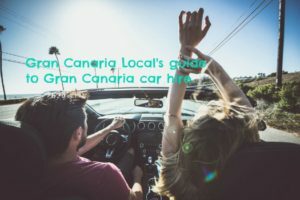 Share smoked El Hierro cheese and tomato jam at Restaurante Marsala, breakfast at El Grammy a cafe by day, and then party at the same venue by night as it becomes a pub with resident DJ and karaoke sessions. Plus get your five-a-day helping of fresh fruit and veg in one sitting at the vegan/vegetarian La Hierba Luisa. Another bustling thoroughfare’s Calle Pelota. Try Triciclo which peps up the classic Russian salad with garlicky braised octopus. Elsewhere, there are 150 different beers to sample at Te lo Dije Pérez on Obispo Codina and performances aplenty to catch at Calle Mesa y León’s Teatro Guiniguada. Although it’s one of the most touristy markets in Las Palmas de Gran Canaria, you’ll still spot natives stocking up at Mercado de Vegueta. The MdV’s main entrance lies parallel to the old main road to Tafira Alta but go in via the Avenida Maritima for its new Gastromercado section. Whilst Sunday’s largely shopping free day, Plaza del Pilar Nuevo hosts the weekly Mercado de Artesania y Cultura de Vegueta. 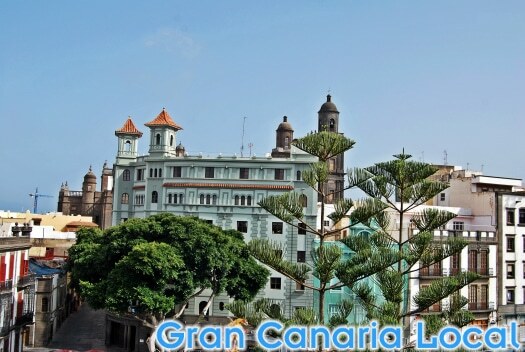 To pick up a timple, the Canary Islands’ famous pygmy guitar, check out musical instruments store Music Arte. On Calle Reloj, close to the cathedral, Sabor a Canarias is a souvenir shop selling edible mementos such as artisan cheese. And over on Calle Reyes Católicos, Miss Pilitiliti offers casual yet stylish clothing for the younger woman. 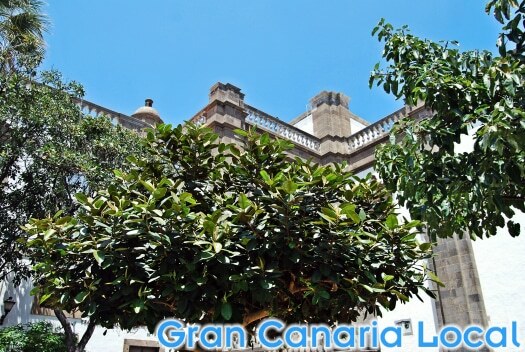 The Plaza de Santa Ana, Las Palmas de Gran Canaria’s main square, is more residential than commercial. If you’d like to live in the area, there are estate agencies specializing in Vegueta properties. Like Calle Espíritu Santo’s Patio Real Estate. If you prefer your hotels smaller in scale, the boutique La Casa de Vegueta offers bed and breakfast to its house guests staying in a mere three rooms. 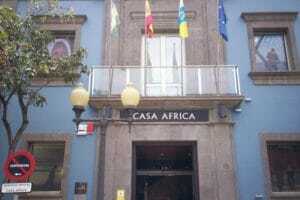 Also on Calle Pedro Díaz, you’ll find the more budget Ecohostel Canarias Bettmar. The Boutique Rooms, meanwhile, accommodate visitors in restored emblematic buildings across Vegueta.